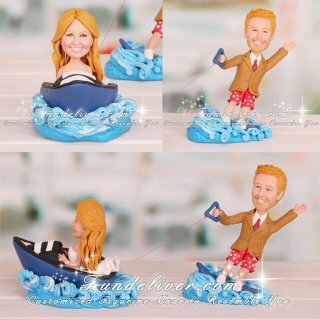 This is a completely customized speed boat and wakeboarding wedding cake topper ordered by one of our customers. They would like the bride in her wedding dress, driving their speed boat, and groom in his tan jacket, red shorts, standing on a slalom ski, holding a blue handle, wake boarding. Want to get your favorite sports involved in your wedding? 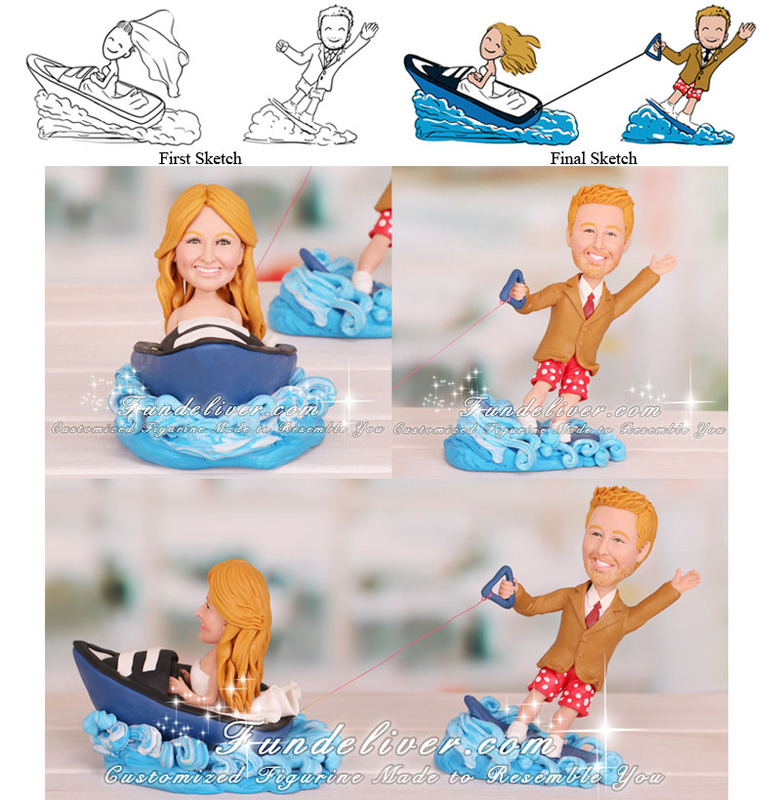 This speed boat cake topper or wakeboarding cake topper will be your perfect choice.